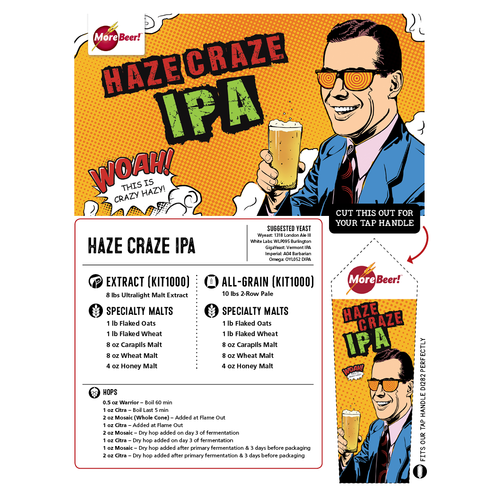 Haze Craze is our take on the hazy North East IPA. Also known as a New England IPA recipe, or a Juicy IPA, it is one of the fastest growing beer styles in the US. The style accentuates hop character while maintaining a smooth and creamy mouthfeel. Light in color but hazy due to heavy dry hopping, yeast selection, as well as additions of oat and wheat . Low in bitterness with a huge hop character due to hop-bursting, this beer will satiate even the biggest hop head. Bought a few and wanted to make my own. second purchase of this kit. Good stuff. Love the hazy NE style IPA. Second order of this kit .Great first time. Brewed it previously and everyone likes it. Great kit, brewed it before for a party, was gone in 2 hours. My first attempt at this hazy option! Made it before and I liked it. First time brewing this and love the N.E. IPA! I liked the reviews. I was asked to make a IPA for a couples shower. 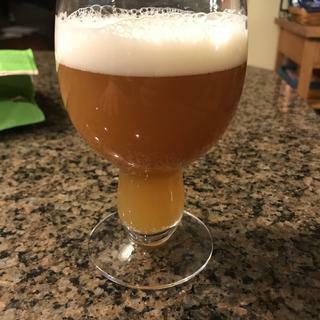 Wanted to try brewing a NEIPA style. 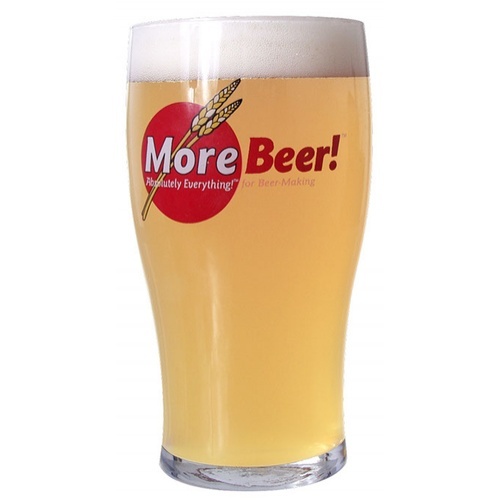 Easy to brew and a nice juicy taste. The Haze Craze "kit" is very nice, quite a tasty hazy IPA. I will certainly be making it again. I couldn't get the beer as hazy as expected, but flavor and aroma wise, it was a really, really good beer. I have not been a IPA fan but this recipe has changed my mind. I made this for my granddaughters I do barbeque. I had so many people come up to me and say it was the best beer they have had. I could not be happier with the results. Not overly bitter but tremendous hops flavor and aroma. I am buying another kit tonight for myself this time. 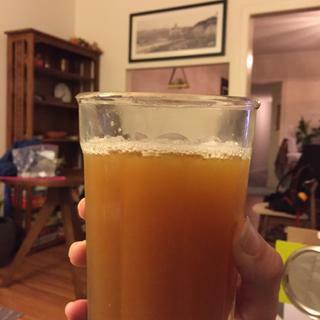 This was the third brew I have done, and so far the best! I'm not a huge fan of IPA's, but this is amazing! I've already given away 8 bottles and they have all gotten rave reviews. If you are a fan of IPA's (or not) I would highly recommend this brew! Cheers. I made a mistake in my water measurements somehow. 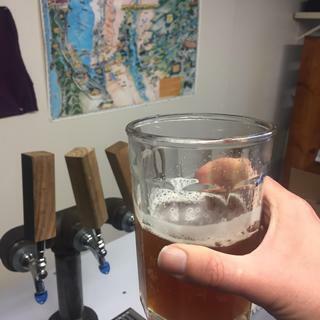 Ended up kegging 4 gallons which pushed the ABV up to 8.7. The aroma and flavor were amazing. It was a big hit with people I shared with. My first time using whole cone hops... lesson learned. Next time use a hop filter. I had small flakes from the whole cone in my keg which occasionally plugged my poppit valve. Definitely will brew this one again. Very hazy. Looks like a glass of orange juice. I also added 2 oz of Galaxy hops. It is amazing! 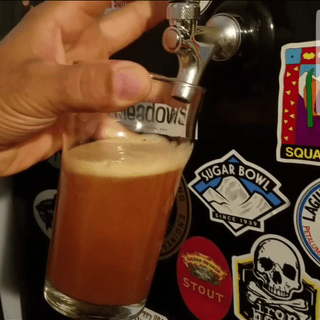 This is an excellent hazy brew kit – I liken its flavor to Sierra Nevada’s Hazy Little Thing (i.e. more on the bitter side for NE IPA’s, with a hint of mint), but with a delicious tropical scent. 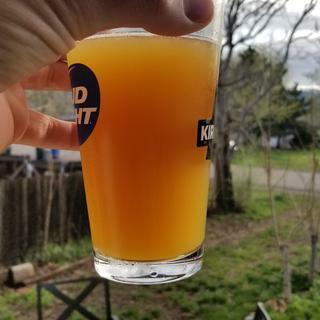 Others have described it as apricot-y, and my first pours seemed like spicy orange juice, which sounds weird but is what I was shooting for ?. The color was lovely, but more of a warm brown haze, rather than a vibrant orange that I’m looking for with hazies. 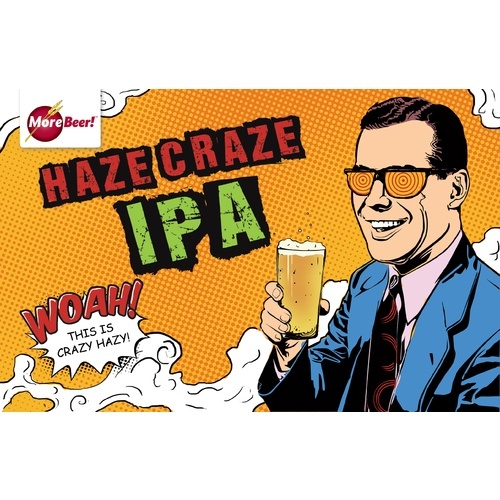 The haze has filtered out over time, but it’s still got great flavor. One issue I had was how to do the whole cone hops, and there wasn’t as much direction there as I had hoped. I ended up pouring them into the pot at the end of the boil, and then trying to filter them out as I poured into the primary carboy, but that was a real pain. If I brewed again, I’d use a second hop bag, or maybe just let them go into the beer? Anyone else approach this differently? Recommendations: I might add a bit more mosaic the next time I brew this, and after I put it in the keg. I just like the mosaic flavor profile. Very happy with this kit. A little darker and maltier than expected, but great flavor. This beer kit was great! Although I wasn't able to get that light of a color the taste was awesome! Will definitely brew this one again. Didn't turn out as hazy as I expected. 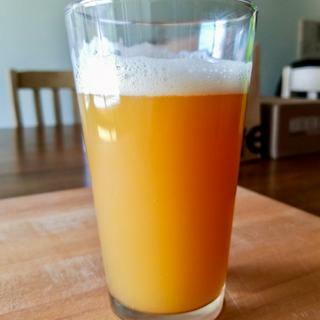 Funny, all these years I have worked at brewing clear brews and the only time I try for hazy and came out pretty clear! Loved the "Double Dose" Giga Yeast for Vermont IPA! Nice! Turned out very well - will make again! Brewed this one twice now. Even better the second time! Heavily dry hopped = hop heaven. This one is hoppy and tastes great with a little lingering bitterness. I used a large nylon bag for the flaked grains but after it swelled up, I realized I should have divided into 2 bags. I don't think I got the full haze craze effect. I'm doing this one again, no doubt.